Rowkin Mini Reviews - World's Smallest Bluetooth Headphones? The Rowkin Mini wireless Bluetooth earbud claims to deliver the smallest size available, durable construction, an attractive design, and must-have technologies. First, there were wired headphones. Then came earbuds that connected wirelessly to other devices, but were still connected to one another. 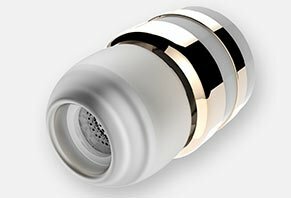 Recently though, a new wave of truly wireless earbuds has hit the market, giving you more options than ever. One of these is the Rowkin Mini, which claims to differentiate itself by being the “world’s smallest” wireless headphone, fitting almost invisibly into any ear. The Mini connects to any smart device via Bluetooth 4.1 and provides 2-way communication via the built-in microphone. Each Rowkin Mini is constructed from PVD steel with a mirror-polished coating, a “premium finishing” that’s designed for sport, as well as an aluminum clad charging stick. Each Mini can connect to 2 devices simultaneously and remember up to 8 paired devices. When using your Mini, you’ll also experience CVC noise reduction and audio enhancement. These sure sound like some great features, especially at this price point (more about this in a second). Just because you’ll pay less, though, does this mean that the Rowkin Mini is a better value? Let’s explore the facts so you can find out. How Does the Rowkin Mini Work? Although each Rowkin Mini earbud is only 0.83” long and 0.55” wide, the company claims they’re built with durability in mind, whether you’re running, going to the gym, or engaging in other activities. This is why Minis feature mirror-polished steel rings and the charging case is made from bead-blasted aluminum. Speaking of the charging case, the Mini features a “patented conductive portable charging system” that uses a magnet to hold the earbud in place, giving you up to 6 hours of total talk time while you’re on the go. If unused, the Mini can last up to 8 hours with the power on, and standby up to 60 days. Rowkin’s unique portable charger design connects to your Mini using a magnet and gives you up to 6 hours of talk time. Image credit: Rowkin. Once charged, Mini can connect to two different devices at the same time via Bluetooth 4.1 (also known as Low Energy Bluetooth or Bluetooth Smart) and remember up to 8 different devices. This way, you can “instantly and seamlessly” switch between using Mini with your laptop and smartphone, or listening to music and taking a call—without having to re-pair every time. For more in-depth specifications for the Rowkin Mini, be sure to check out the user manual. How much will you pay for these different design features and technologies? How Much Does the Rowkin Mini Bluetooth Earbud Cost? Mini comes with a 30-day refund policy, less S&H charges, although this only applies to unused items in their original condition. In order to request one, you’ll need to email customer service at support@rowkin.com or via an online contact form. Note: It seems the only place to purchase the Rowkin Mini is through Amazon (more soon), so these refund specifications might not apply. We talked at the beginning about all these wireless earbuds entering the market recently, but how does the Mini stack up? At $60, perhaps Mini’s biggest advantage is its price. Comparatively, the Moto Hint will set you back nearly $100, while Earins’ buds come in at a whopping $250. Other popular competitors like Kanoa ($180) and Bragi ($300) are priced much higher as well. Pro tip: Interestingly, it appears that the Rowkin Mini might have originally been launched as an essentially identical product named Dot via a Kickstarter campaign, which has since been canceled—but not before raising nearly $300K on a $30K original goal. Searching elsewhere online, we came across the V.one, which also appears to be identical to the Mini. Here’s the thing: in the world of consumer products, you often get what you pay for, which is perhaps especially pertinent when talking about electronics. To this extent, while you might pay a lot less for Mini, you’ll only receive 1 earbud (all of the competition includes two). So, if you want stereo sound, it’ll double your costs. Also, the Rowkin Mini might not contain the same level of sound technology featured in some of these other earbuds (we’re not told about its specific componentry). If you’re using Mini primarily to make and take calls, this might not be an issue. But it could be if you’d like to listen to music. Sure, Rowkin claims the Mini features CVC noise reduction and audio enhancement (also known as noise-cancelation), but this technology is pretty much found across the board, and it’s certainly not unique. Since we didn’t test Rowkin’s Mini firsthand, how can we make these statements? Let’s carry this conversation over to the next section. Overall, it seems like Rowkin’s Mini has garnered a middle-of-the-road reputation with customers. Dailytekk appreciated Mini’s good looks good, easy setup, and the charger’s small design that easily fits in your pants pocket. However, they claimed Mini’s sound quality was “acceptable, and that they experienced a spotty Bluetooth connection about 10% of the time, which seemed to only get worse as the battery drained. The author also felt that Mini wasn’t exactly the most comfortable earbud, but claimed that it’s “totally usable” if your primary goal is to make and take calls. On Amazon, the Rowkin Mini had 837 individual reviews at the time of our research, with a 2.8-star average rating. Similar to Dailytekk’s feedback, most customers seemed pleased with its small, attractive design and unique charging system, but many also experienced frequent connectivity issues. Interestingly, most who experienced these issues claimed that Mini connected just fine through fabric (such as a pants or shirt pocket, or through a backpack), but problems occurred when a hand or arm came between their device and the Mini. Reading feedback for Earins’ buds, this seems to be a common problem as well. Should you give the Rowkin Mini earbuds a shot? Is the Rowkin Mini a “Revolution In Headphones”? For example, the Mini appears to be smaller than much of the competition, but also designed much differently than some. However, most of the competition is also small, so when it comes to a size advantage, we’re really only talking about a matter of a few millimeters. However, based on what we learned in online reviews, it certainly doesn’t appear that you’ll be blown away by Mini’s sound quality, so it might not be “revolutionary” from this perspective. Given this, who might the Rowkin Mini work best for? Are you more interested in listening to music while working out, versus talking on the phone? Sound quality doesn’t appear to be one of Mini’s strong points. Also, we’re not told how resistant Mini is to water, but it doesn’t appear that it can be worn while swimming or engaging in other watersports like some of the competitors. What about sweat, though? How well will Mini stand up to repeated sweat sessions? Many competitor’s models come with interchangeable silicon tips to ensure a snug fit in your ear and to maximize comfort. Mini only comes with one tip, so you’ll either like it or you won’t. While most customers seemed to like the novelty and functionality of Mini’s charging system, the earbud only features 60 minutes of talk time, so it’s almost guaranteed you’ll be carrying it around with you wherever you go. This means one more device to worry about, and if you accidentally misplace it, you’ll have no way to charge your Mini until purchasing a replacement (no word online as to how much this might cost). Did you end up purchasing a Rowkin Mini? Tell us all about it (from fit to sound quality) by writing your review below! Rubbish, it worked ok for the first few days. It worked ok for the first few days, and now it's not coming on, not charging, and not working! I've emailed customer service and they replied to reset it. I tried doing that, but it doesn't come on.I've again emailed them this morning and am waiting to hear back. Poor customer service! No contact number on their website. These are garbage. I am on my second pair in two weeks, and they didn't even want to exchange them when I contacted them about issues until I threatened to file a chargeback. The second pair arrived today, same issues; constant signal drops, and nearly every few minutes one or the other loses all sound. The range is 4-5 feet max if you are in the line of site, any obstacles forget about it (so much for being Bluetooth 4.x rated), and don't dare put your phone in your front pocket, it won't reach the earbuds. It's pretty common complaint on large sites like Amazon, just google it, and you'll see past the paid for reviews and fake news-style hype. Oh and here's the kicker, they made me pay for return shipping for their defective product! Avoid and wait for a solid option from a reputable company. This Rowkin ear Bluetooth is what you need. A very discrete ear bud for your cell phone, stereo or other syncing Bluetooth compatible device. This great earbud syncs with all my devices. Its sound is incredible with unparalleled communications talking on the phone. The set can be used individually or together creating fantastic sounds. Streaming music or talking is a complete pleasure. I recommend Rowkin to everyone; quality tiny earbuds that give an awesome sound. This is what I have personally experienced. I really love my Rowkin Minis. If you use two of them then you need to pair them together. Instructions are plain and easy to do. After you pair them, you have a Master (left ear) and a Slave (right ear). Now some have issues with the Slave, but if you turn it just so the little flashing light is on top, it straightens out. I suffer with Tinnitus (ringing in ears) and use sound therapy to relieve it. With one in each ear it has noise canceling ability. I can really get relief from using sound therapy right on my cell phone and downloaded apps. I love the fact that there are NO cords. Freedom! Well, I was very excited to hear about Bluetooth wireless earbuds that Rowkin came out with and quickly purchased my very own. I got the 24k ones and to my surprise, I learned that the sound is bit low on the bass, but in all, great to use because I'm always in the kitchen and need a great sound escape as I prep in the mornings or when I shop. I'm a chef and sometimes when I get in my moments to hear music I like, I use these ear buds to help me create the most beautiful food I can imagine. Well, I was very excited to get my wireless earbuds, but unfortunately was very disappointed. Why? Because right when I connect my earbuds to my phone, I started playing my music from my library and well, the sound is ok, but what ticked me off was how my right earbud keeps cutting off the sound and then comes back on. I was a bit frustrated because this kept happening. And then I was using it to watch YouTube, and both kept coming off, and I couldn't hear anything. I wanted to throw them against the wall. I spent about $150 on this crap, and I can't wait to get my money back because I'm sending them right back. They look cool, but they stink. Please don't spend your money on these because then you will see what I mean. Write a Review for Rowkin Mini!